Providing NDT and CT services for multiple industries, Nexus Metrology deals with a broad spectrum of applications. To handle the various rare and complex inquiries, the company relies on the Nikon Metrology XT H 225 ST, a versatile, non-destructive X-ray system delivering fast and insightful CT scanning. The adaptability of the system makes it a valuable tool for revealing defects, cracks and pores in many materials ranging from bones to cast parts. Nexus Metrology is a division of Trikon Technologies, Inc., which has been providing non-destructive testing (NDT) solutions across many industries for 25 years. 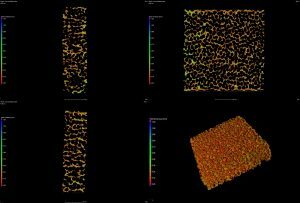 The Canadian company based in Quebec is dedicated to providing Micro-Computed Tomography (MCT) and material characterization simulation services to industry application areas, science and academia. The Imaging Science Center at Nexus Metrology uses the latest imaging and material characterization technology to produce accurate structural and dimensional information. The company is ISO-9001:2015 and CGP (Controlled Goods Program) certified and its lab follows the VDI/VDE 2630 guidelines to establish outline conditions and methods that ensure the comparability and traceability of measurements using computed tomography in industrial environments. Engineering and NDT Geoscience, Material Science and Life Science are the predominant fields of work. Nexus Metrology is committed to assisting clients in addressing the major challenges around conducting high-quality investigations of specimens, parts and materials. Working with aerospace, automotive, electronics, forensics, textiles, geoscience and medical industries, incoming projects are rarely the same. From PCB components, castings and turbine blades to rocks, cores and soils or even in research projects with bones, stents and heart valves, every sample is different. This means that Nexus Metrology regularly deals with a diverse range of materials and manufacturing methods. Metal alloys, additive manufactured components and castings or forgings represent only a fraction of the projects at the Imaging Service Center. Nexus Metrology often collaborates with government research institutes and University R&D laboratories. The company has been contracted for imaging specimens such as archaeological artifacts, composites, batteries and metallic additive manufactured specimens or powders outside of the more mainstream industrial, medical and geological fields. The foam specimen is placed on the stage within the CT system, ready to scan. Ievgeniia Morozova is the Application Specialist for Imaging Science and the Nikon XT H 225 ST expert at Nexus Metrology. She explains, “The ability to use CT helps to save time that would’ve been spent for conventional methods. Moreover, when we are talking about unique specimens, such as moon rocks or meteorites, CT can be used as a starting point to get a good overview of the specimen before it will be studied destructively. Having a 3D representation of the part helps to preserve the specimen at least virtually – an important role computed tomography plays in archaeology. Knowing the inner structure, presence of cracks and defects helps to preserve the integrity of sometimes incredibly rare bones, unique ceramics, tools and other relics”. The most common request across all application areas, is to investigate the defects within the part and check for pores, cracks or inclusions. However, for additive manufacturing, printing defects and overall quality of the powder is what is important. Again, for fibrous structures, it is different. The focus is on the shape and distribution of fibres. Regularly encountering this vast assortment of samples is what stimulated the need for an extremely versatile, non-destructive inspection method. Light composite, pure epoxy, plastics and rubber require very low energy scanning. In these circumstances, the multi-metal target is irreplaceable. As new technologies and materials develop, there is a higher demand for not only non-destructive testing, but also high-quality investigations of complex specimens, parts and materials. To meet this need, the versatility of the CT system becomes the key factor. Nexus Metrology uses the Nikon XT H 225 ST, which is perfectly suited to a wide range of materials, sample sizes and applications. 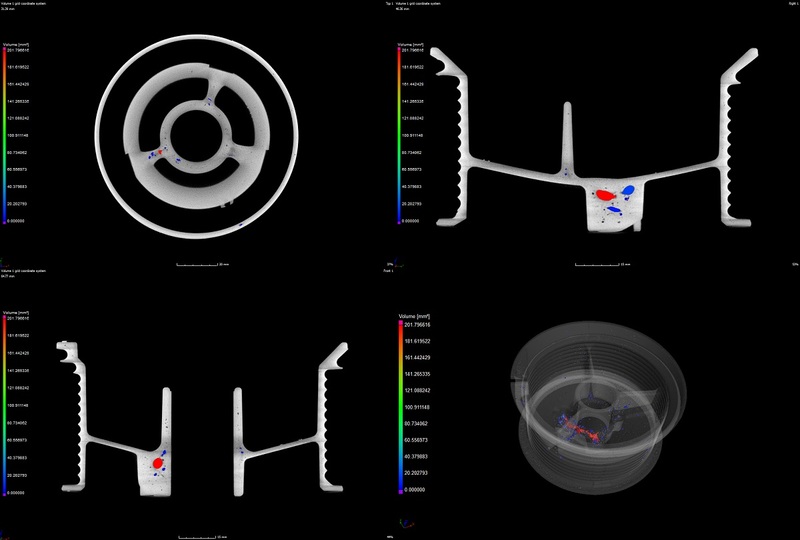 “Whether it is an expensive prototype of a new aerospace part or a unique archaeological finding, we are able to adapt our CT configuration based on the specimen type by using different accessories”, Ievgeniia remarks. The installation at Nexus Metrology includes three interchangeable sources (180 kV transmission target, 225 kV reflection target, and 225 kV rotating target) and four target materials Tungsten (W), Molybdenum (Mo), Copper (Cu) and Silver (Ag). 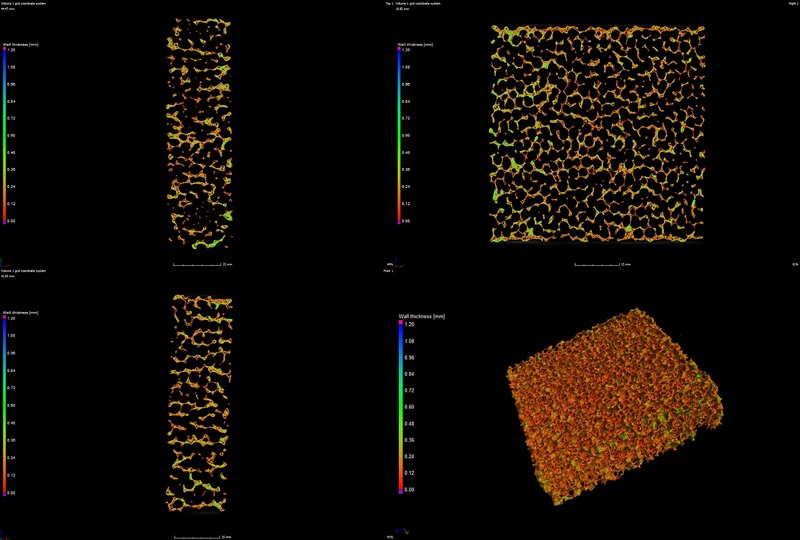 With being able to select a different target material, there is a better range of characteristic emission producible by the system, which allows for materials with different densities to be effectively scanned with good contrast. “The combination of different micro-focus sources with the advanced flat panel detectors makes the XT H 225 ST system a flexible tool for quality laboratories, production facilities and research departments”, Ievgeniia summarises. Nikon Metrology X-ray sources are at the heart of our technology and have been designed and manufactured in-house from 1987 to this day; offering over 25 years of knowledge. Being at the heart of the image, control over the X-ray source technology allows Nikon Metrology to quickly move with the market and develop complete and innovative solutions to the application demand. Find out more, here. It’s challenging to scan different materials using fixed parameters. To really achieve the best images and high-quality results, systems need to be tweaked and set up differently for each sample. 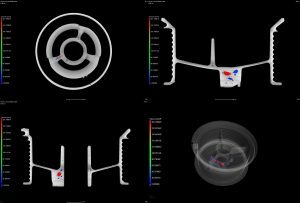 With the ability to go up to 450 W using the rotating target, industrial specimens such as castings can be profoundly scanned. In industrial applications, castings and turbine blades are typical samples for a CT service center. These and other automotive parts are often made from steel or titanium. For samples such as this, a lot of power and energy is required. 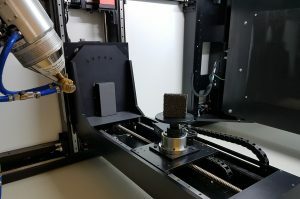 With the ability to go up to 450 W using the rotating target option, specimens such as this can be profoundly scanned and there is the possibility to accommodate other large and dense industrial specimens too. Material Science represents the other end of the materials spectrum. Light composite, pure epoxy, plastics and rubber require very low energy scanning. In these circumstances, the multi-metal target is irreplaceable. The conventional tungsten target is much less effective in the low kV range. The multi-metal target consists of Silver (AG), Molybdenum (Mo), and Copper (Cu), which are a great benefit when scanning low absorption materials. This wide range of industrial projects makes it impossible to use the same settings every time. With each new specimen that requires scanning, the set-up is changed. Starting with the type of head (rotating, reflection or transmission), type of target, manipulator stage or even the sample holder shape and material. “Having the Nikon Metrology XT H 225 ST system in-house helps us to accommodate these changes. Customers are usually interested in the examination of their specimens for potential defects, understanding part failure or ways to improve their existing technology”, Ievgeniia says. With the XT H 225 ST, Nexus Metrology has full control. The adaptability of the system and the range of accessories available means for each new specimen, there is a new set up to help achieve the most insightful scans possible of its customers. Ievgeniia Morozova – Application Specialist at Nexus Metrology. 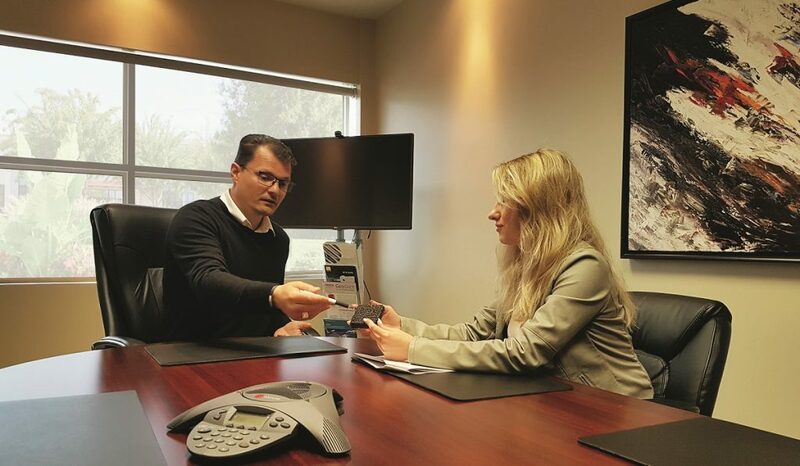 With a commitment to assisting clients in addressing the major challenges of creating high quality investigations of specimens, parts and materials, investing in the latest imaging technology is high on Nexus Metrology’s agenda. The Nikon CT installation meets this pledge and helps the Imaging Science Center to bring accurate and value-based solutions and positive results for clients. For dealing with such a variation of industries and applications, Nikon Metrology’s uniquely versatile CT systems can be customised for fluctuating materials and requests all the way to complete IPC (inter-process communication) projects. Whilst the limitlessly adaptable system is complimented by a range of top quality accessories to deal with the aforementioned challenges, the Service and Training is also one of a kind. Nikon’s CT experts and their knowledge throughout many CT applications gives clients the necessary backup and technical support. Ievgeniia attests to the technical support with any questions addressed quickly and efficiently as well as the extensive training provided by Nikon’s skilled and knowledgeable representatives helping staff to master the technology very quickly. By investing in a Nikon Metrology CT system, Nexus Metrology is in complete control of its projects and challenges with the XT H 225 ST. The technical support, training and service offers confidence and expert assistance when required. With complete satisfaction with the installation, Ievgeniia concludes, “we are fortunate to have Nikon professionals assisting us with challenging problems or new tasks”. Find out more about Nexus Metrology. Visit the Nikon Metrology website.